Front of House/Usher services: Rentals includes a full complement of ushering staff. Usher and/or security staffing services beyond the normal complement are available at an additional cost. Southam Hall is the largest of our four performing halls. 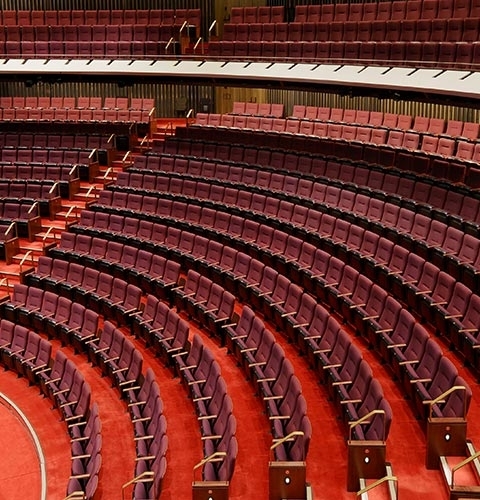 With 2,065 seats, it is an ideal venue for a variety of performances and events, including Broadway musicals, ballet, opera, musical acts, lectures, ceremonies, films, orchestral music and virtually any other entertainment or corporate event. 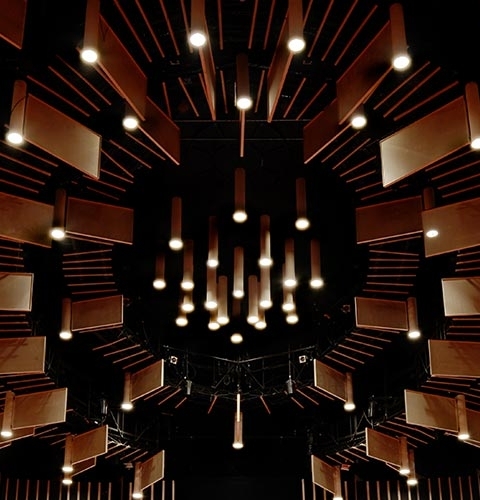 Southam Hall has showcased numerous world class premier entertainment events including Opera productions, recitals, and Broadway musicals such as Phantom of the Opera, Spamalot, and Wicked. 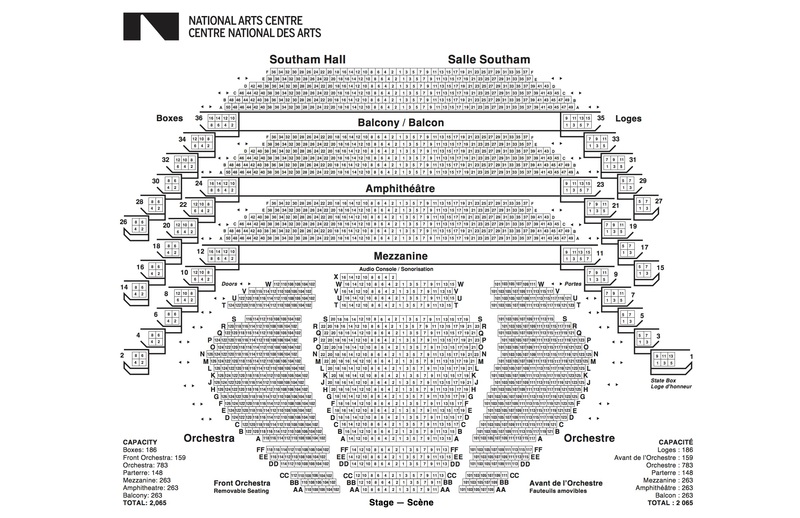 Southam Hall has four levels of seating and each level has its own set of Boxes. The State Box located on the Mezzanine level is where visiting Royalty, heads of state or V.I.P. guests are seated. The design of the Babs Asper Theatre, which has 897 seats, is ideal for plays, musicals, seminars, conferences, films chamber music and other musical events. 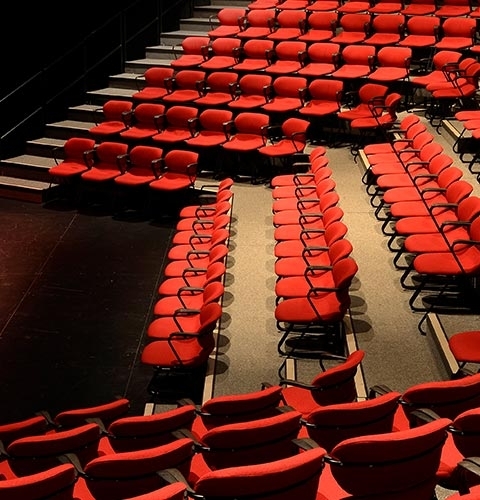 The Theatre showcases the NAC's premier theatrical productions. The Babs Asper Theatre is also an ideal venue for corporate seminars and presentations. The Azrieli Studio has a capacity of 250-300. A wide variety of performances are presented in the Azrieli Studio and it is also used for corporate seminars and presentations. The Azrieli Studio is always general admission. We suggest arriving early to get the best choice of seating. 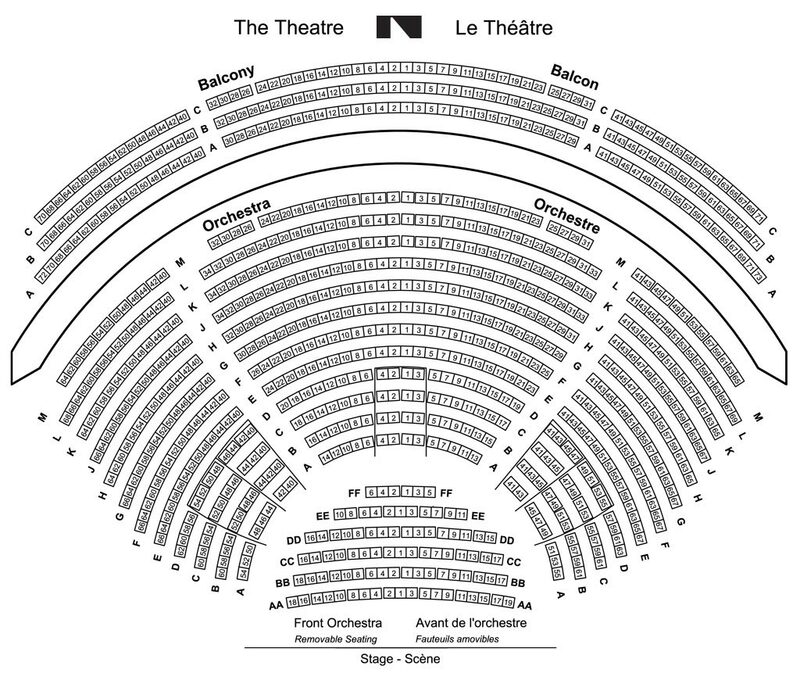 With a capacity of 150, the National Arts Centre’s Fourth Stage is our most intimate stage. Exceptional sound and lighting, as well as cabaret seating, offer our audiences an arms-length viewing experience. Every year, the Fourth Stage hosts hundreds of emerging music concerts, speakers, and community events. The room is available for rentals year-round. The Fourth Stage is always general admission. We suggest arriving early to get the best choice of seating.